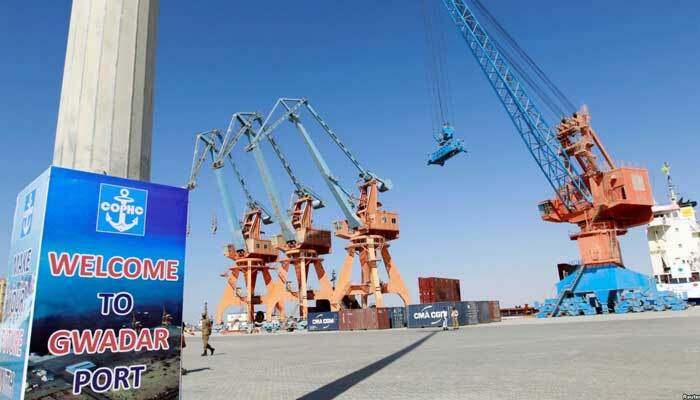 KARACHI: Pakistan’s upcoming biggest logistics park with a container terminal has planned to list the $85 million project on the stocks exchange to capitalise on economic activities in and around the Gwadar port. Zaheer Barakzai, chairman of logistics provider Mega Movers Pakistan told The News that it is developing Shahdadkot Inland Container Terminal along Gwadar Rato Dero M-8 Motorway. The distance between SICT and Gwadar port is 325 kilometres. The terminal is expected to be ready by the mid of next year and to have an annual turnover of approximately $45 million in the initial years. “We have evaluated the public listing and our finance team is already working on it,” Barakzai said without disclosing the timeframe and quantum of the offer. Spread over an area of 60 acres and having a capacity to handle one million twenty-foot equivalent units annually, SICT will be the country’s largest logistics park to cater to the requirements of Gwadar port. Barakzai said once the Gwadar port becomes operational by 2020, much of the load from Karachi port and Port Qasim would switch to Gwadar due to tax holidays and other factors. Chairman Mega Movers said SICT is also developing a warehousing facility across 10 acres at Gwadar free zone. SICT Logistics Park would generate around 700 direct and 3,000 indirect employment opportunities. Besides, the people dwelling across Shahdadkot to Khuzdar will also benefit in the form of daily wage jobs. Motorways and highways bring development and prosperity to surrounding areas. M8 Motorway and SICT will also support livestock and fisheries sectors through enabling speedy transportation. There will also be requirement for housing facilities and the construction and real estate sector will get a boost. SICT will also be looking into the real estate sector going forward. As part of corporate social responsibility, SICT will impart trainings related to truck and heavy vehicles to 800 youth a year from Khuzdar, Turbat and Mund as well as facilitate them in obtaining required licences. “We intend to develop and operate this logistics park on international standard and market it as a professional setup to invite international business for setting up their business as well,” Barakzai said.